Usually, this dish consists of stir-fried flank steak slices with vegetables in a sweet sauce. The sauce is usually a combination of soy sauce, hoisin sauce, brown sugar and chili peppers. The dish is often served with steamed rice or noodles. In a saucepan heat half of olive oil, add minced garlic and grated ginger and fry for 30 seconds. Add water, coconut aminos, erythritol, red pepper flakes and simmer on high for 3-4 minutes. Turn off the heat and set aside. Add a xanthan gum and beef strips to a zip bag and toss well. In a frying pan, heat the other half of olive oil until hot. Add beef strips and fry stirring until begin to get brown. Set aside. 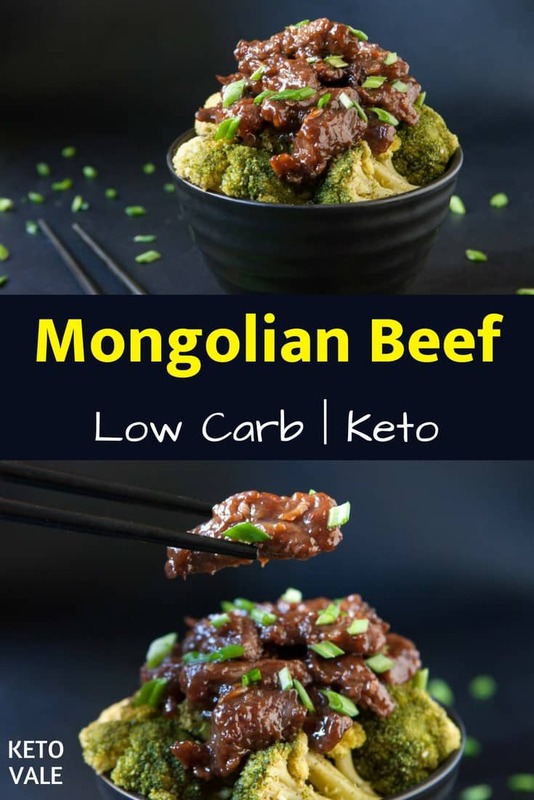 0 Response to "Keto Mongoliân Beef"